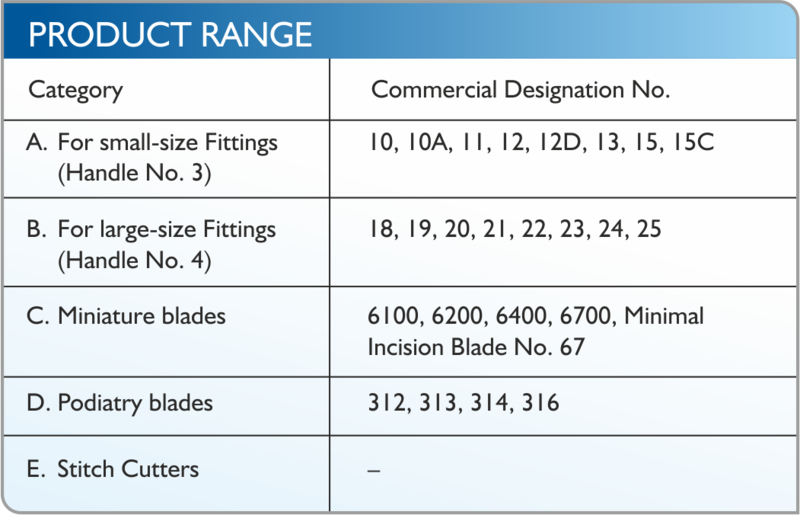 Glass Van & Technocut - Hindustan Syringes & Medical Devices Ltd.
Glass Van & Technocut blades are made from premium quality Swiss steel. A great deal of effort has been put into perfecting the grinding and honing process, as a result of which the cutting edges are consistently sharp and of the highest possible standard. GLASS VAN & TECHNOCUT Surgical Blades. Made from the premium quality Swiss steel. Available in 10, 11, 12, 15 size for small size fittings (Handle No.3) & in 20, 21, 22, 23, 24, & 25 sizes for large size fittings (Handle No.4). Treated with Gamma radiation of 2.5 Mrad to ensure sterility assurance level of 10-6. 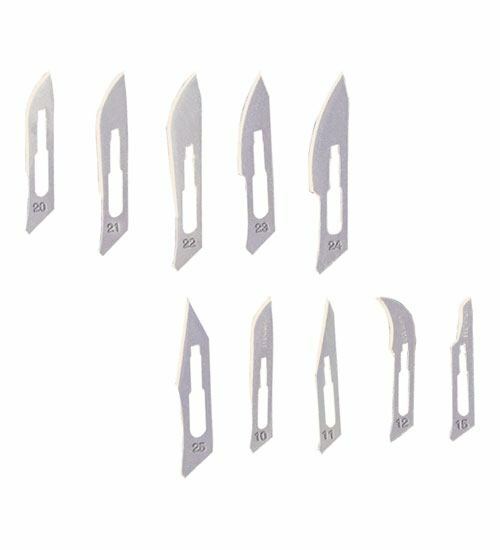 Blades are individually packed in an aluminium peel-able package which is protected by VCI coated paper lining. Blades are made of premium quality steel. 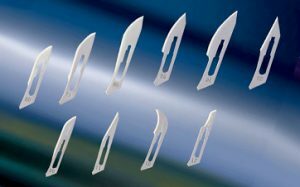 Blades are individually packed in an aluminum foil, peelable package, protected by VCI- coated paper lining.